Glamour French is a brilliantly written French magazine that is host to a wonderful set of celebrities and lifestyle stories. 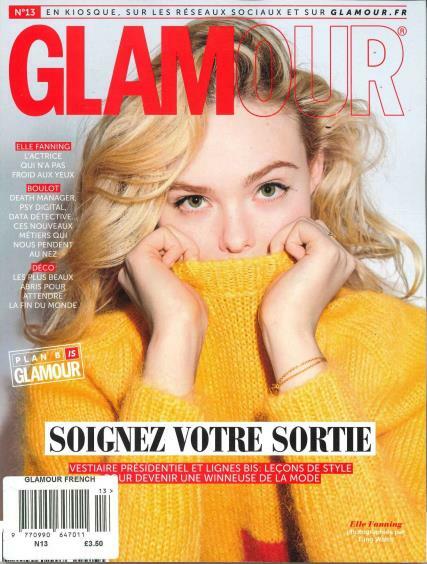 This magazine is the french version of Glamour Magazine. Buy a single copy or subscription to Glamour French magazine. The A5 size makes the magazine easy to read on the go, and the articles and photography is of the highest quality. Thus, the Glamour French being a monthly magazine is very handy when one is bored and needs some gossip to spice up ones day. Ideal for a French Ex-Pat, or a french language student looking for entertaining reading material to help them with their studies. This magazine is imported into the UK monthly, so you can subscription from 3 issues to 1 year, and never miss an issue of this great french magazine.